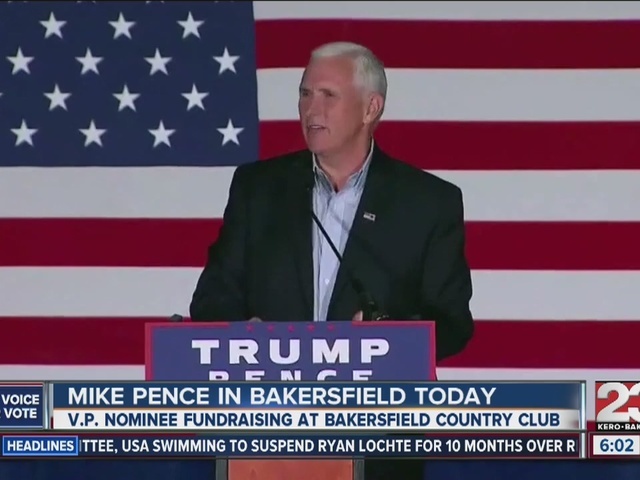 Governor Mike Pence will be in Bakersfield Thursday afternoon for a roundtable and luncheon. Assemblywoman Shannon Grove and Congressman Kevin McCarthy are expected to attend. Tickets to the event are $1,000, with VIP tickets up to $25,000.